Nestled along the River Thames outside the Congestion Charge zone, the hotel nods to its history as a 17th century Wharf Building and offers a complimentary ferry to Canary Wharf Pier. 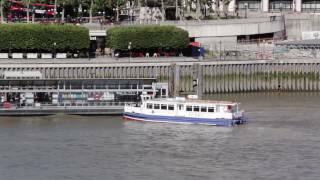 Thames Clipper ferries can take you toward all the attractions of central London in just a few minutes. 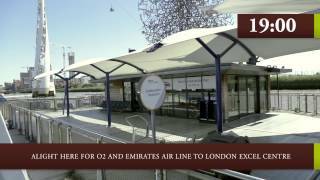 Or take the ferry to the O2 centre for concerts and events! The newly refurbished DoubleTree by Hilton London Docklands Riverside is the ideal choice to experience London from a Riverside location. Step away from the corporate environment and stay in one of our 378 newly refurbished bedrooms, most rooms offer a private balcony with river and city views. Hop on our complimentary ferry towards Canary Wharf Pier. This service offers excellent connections with the Thames Clippers towards The City, The O2 in Greenwich and Excel London Convention Centre. Enhance your visit to The O2 with an overnight stay and breakfast at DoubleTree by Hilton London - Docklands Riverside, including a transfer to/from The O2. 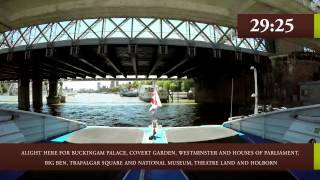 Explore London by River! This offer includes a full day of 'hop on hop off' Thames Clippers ticket per person, stopping at all major attractions in London City Centre.